What Is Good Quality Proof? Prove that observed temperature increases are real. Prove that temperature increases are unusual in a historical context. 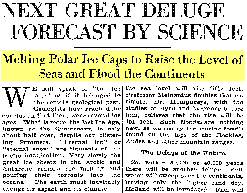 Prove what a dangerous amount of global warming actually is. Prove that man's CO2 is responsible for the observed increase in atmospheric CO2. 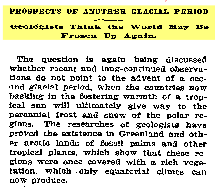 Absent proof that man is the cause of warming, no cessation of man's activities will change the weather and will have no effect on cuddly polar bears, glaciers, ice caps or ocean levels. The Sun is a much better short term fit to climate than CO2. It has recently been shown that there is a good correlation between solar cycle length and climate, as this chart shows. Notice the dip in both solar and temperature from about 1940-1965. There is no such dip in graphs of CO2. 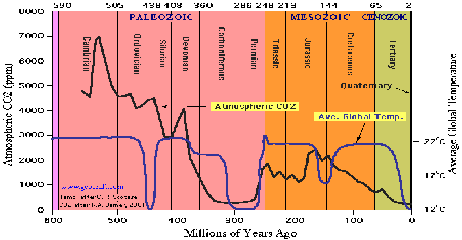 Here is a long term chart of solar cycle length and temperature as implied by an isotope of Oxygen. Historic CO2 levels do not show any of these ups and downs. Again the sun is a better fit than CO2. Graph from: Long-term Variations in Solar Activity and their Apparent Effect on the Earth's Climate K.Lassen, Danish Meteorological Institute, Solar-Terrestrial Physics Division, Lyngbyvej,100, DK-2100 Copenhagen (2), Denmark. 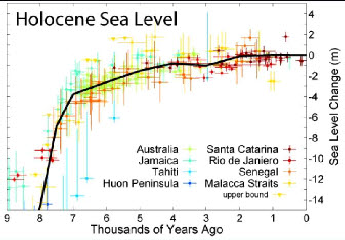 Sea Levels have been rising for thousands of years. Lately the rise has slowed down. Friis-Christensen, E., and K. Lassen, Length of the solar cycle: An indicator of solar activity closely associated with climate, Science, 254, 698-700, 1991). 2. Returning that carbon to the atmosphere will, at most, merely return to the conditions of an earlier atmosphere. At the least, it will do nothing because of the earth’s natural negative feedback mechanisms. FACT: FIRST the temperature goes up, THEN CO2 goes up. 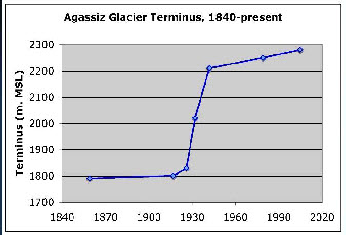 At least three careful ice core studies have shown that CO2 starts to rise about 800 years (600-1000 years) after Antarctic temperature during glacial terminations. 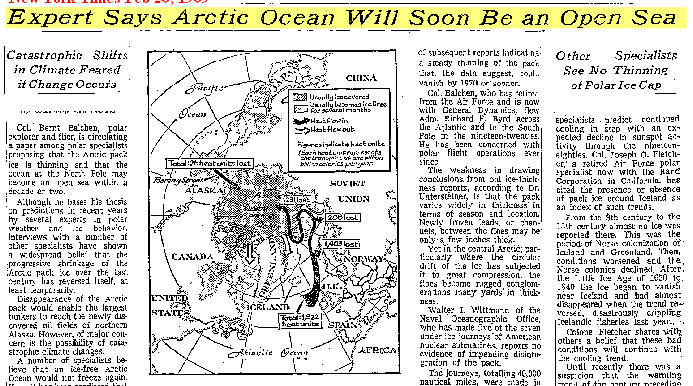 These terminations are pronounced warming periods that mark the ends of the ice ages that happen every 100,000 years or so. 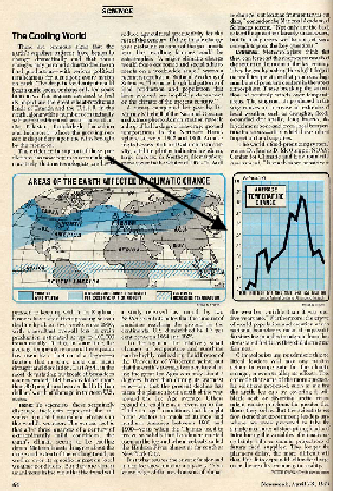 The Famous Temperature Chart that Al Gore used is simply wrong. You can take red noise and put it into the algorithm used in MBH98 and get the famous hockey stick. You can remove the bristle cone pines from the data set and the hockey stick disappears. If you use the correct data centering methodology, the hockey stick disappears. most of the field uses the same data and methods - they are not independent. FACT: Water vapor is the major greenhouse gas, NOT CO2. 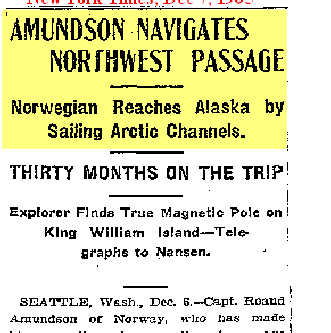 Alarmists like to talk about an ice free Arctic and of ships sailing through the Northwest Passage.